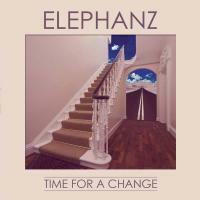 Titre(s) Time for a change / Elephanz, ens. voc. & instr. Contient Dust or delight. - Time for a change. - Curfew. - Castle in the sand. - Walk on my dreams. - Stereo. - You dare. - Elizabeth. - Je n'ai jamais. - Million eyes monster. - You should stop. - No pain. - Do you like my song. - Love is the new trend. Notes Textes des chansons. Edition augmentée (3 titres en plus).